Vanessa Waters will be hosting her last Wild Edible Walk of the season. Come and learn all that we can eat right here in our outdoor surroundings! Walks are from 10am to 12pm. 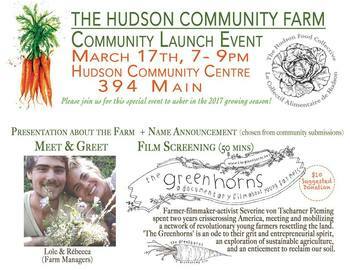 The Hudson Community Farm is moving to it's permanent site in front of Thompson Park and we are so excited to celebrate our first growing season and our big move with all of you! Stick around or join us later for our first harvest BBQ!!! ​You can expect DELICIOUS farm food and a magical early fall afternoon at the farm! Come one, come all! Bring your appetite, dancing shoes, kids, friends and loved ones! Everyone is welcome. 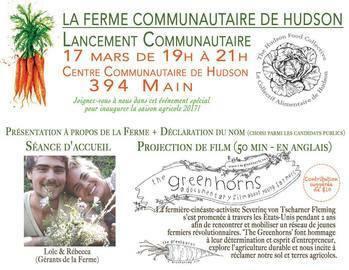 La ferme communautaire de Hudson déménage à son emplacement permanent en face du parc Thompson and nous ne tenons plus en place! On a tellement hâte d'inaugurer notre nouvelle terre et de célèbrer notre première saison de production en vôtre compagnie! Rester nous rejoindre en soirée pour notre premier BBQ des récoltes!!! 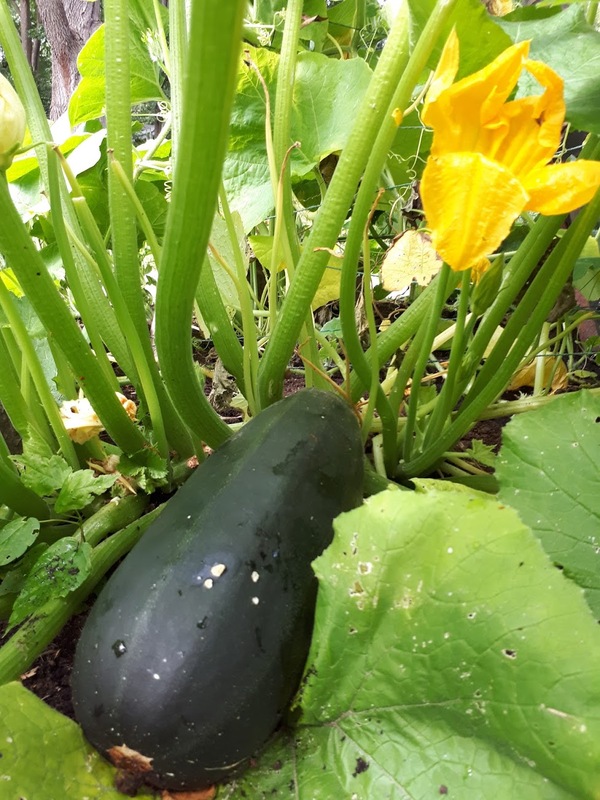 Come join us for our last Community Kitchen Garden Day, where we will be closing down the beds, re-tiling the soil, laying out compost and harvesting the lasting vegetables; butternut squash and cherry tomatoes. Come by for the entire morning or just stop in to say hi! 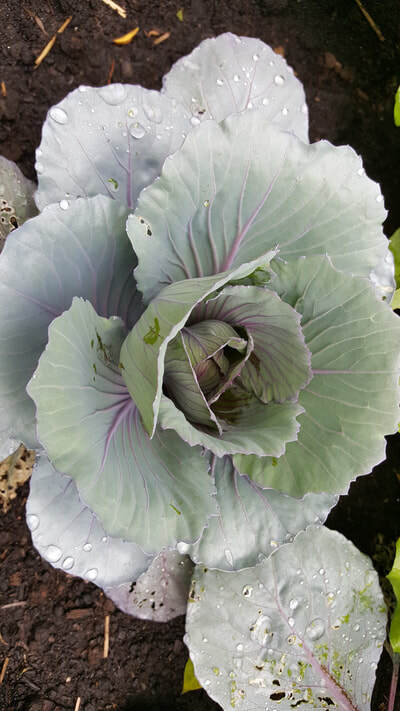 Join us this Saturday for our 4th Kitchen Garden Community Day, located in the History Garden. We'll be located in back of the building at 539-41 Main Road, from 9:00pm to 12:00pm. Come and find us! We hope to harvest our the butternut squashes, the beautifully purple eggplants and the abundance of cherry tomatoes,. 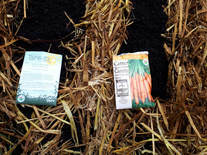 We will also be weeding the beds, and laying the rest of the straw. Come enjoy this day of gardening with us, as well as some tasty refreshments! Rejoignez-nous ce samedi pour notre 4e Journée Potager au Jardin Communautaire, située dans le Jardin d'Histoire. Nous serons situés à l'arrière, au 539-41 Main Road, de 21 h à 12 h. Venez nous trouver! Nous espérons récolter nos courgettes, les aubergines magnifiquement violettes et l'abondance des tomates cerises. Nous allons aussi désherber les lits et poser le reste de la paille. Venez profiter de cette journée de jardinage avec nous, ainsi que des rafraîchissements savoureux! 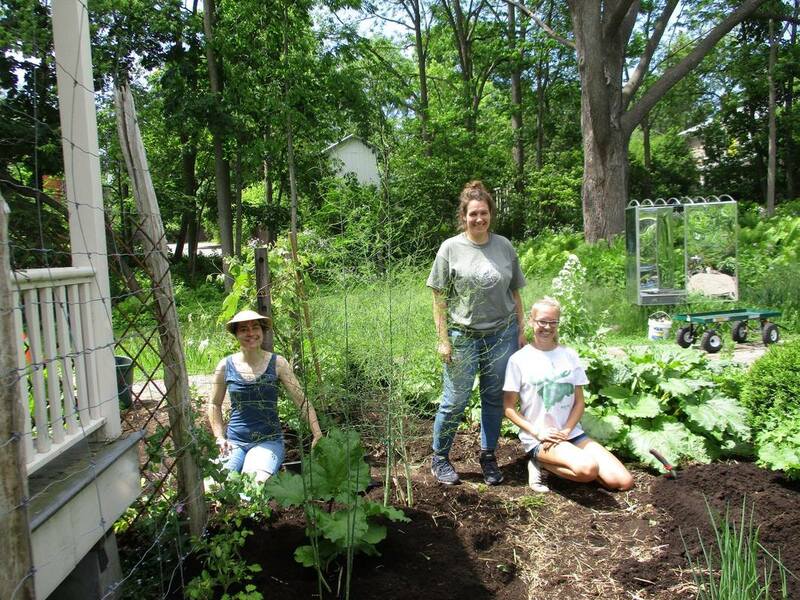 Our Kitchen Garden got quite the makeover at our Kitchen Garden Community Day last Saturday, August 12th! 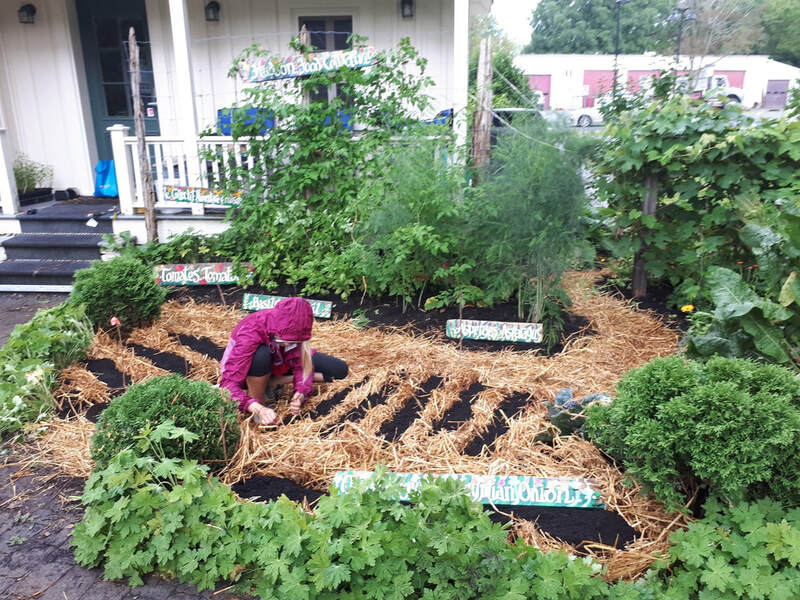 Our team got to work harvesting, rearranging the garden, laying beds of hay as pathways and planting seeds. We also enjoyed a delicious salad using vegetables from the Kitchen Garden and the Hudson Heartbeat Community Farm. The Kitchen Garden Community is a great opportunity to gather members of the community and allow them to get involved by enjoying and maintaining the garden. Any volunteer time at all, however large or small, is a great help and motivator for the Hudson Food Collective. Come meet us at our next Kitchen Garden Community Day. Notre jardin potager a subit une rénovation impressionnant le samedi, 12 août! Notre équipe a travaillé à la récolte, a réarrangé le jardin, a posée la paille comme chemins et a planté des semelles. 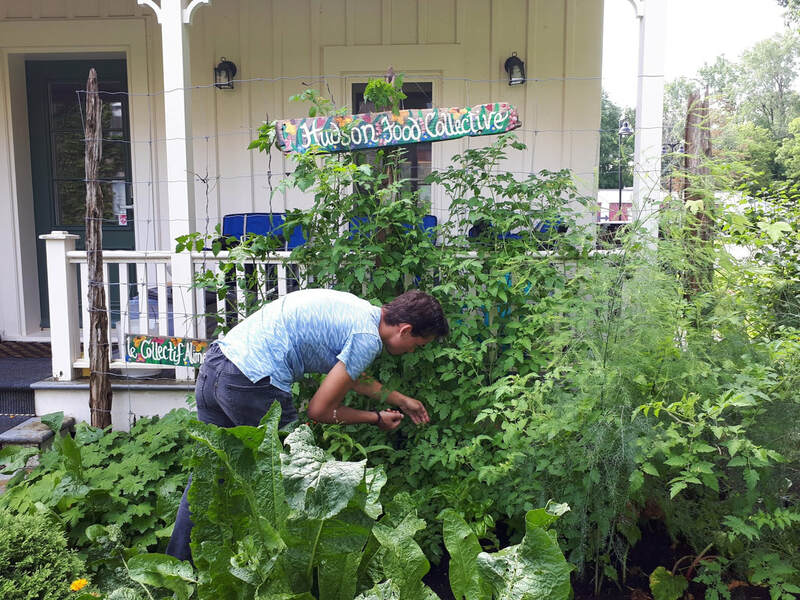 On a aussi apprécié une salade délicieux en utilisant des légumes du jardin et du Ferme communautaire Betterêve de Hudson. 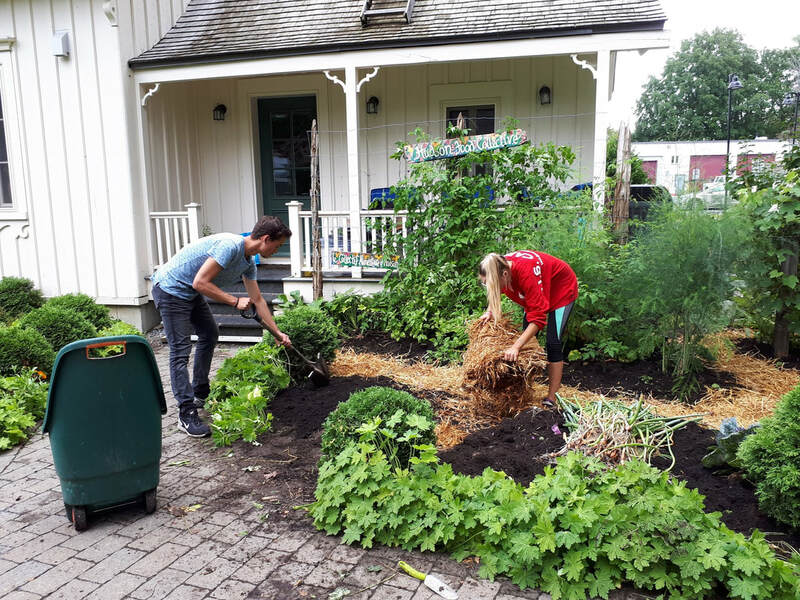 La journée communautaire au jardin potager est une belle opportunité pour les membres de la communauté d'être impliquées dans la communauté en appréciant et en maintenant le jardin. N'importe quel temps bénévole est une grande aide et motivateur pour le collectif alimentaire de Hudson. 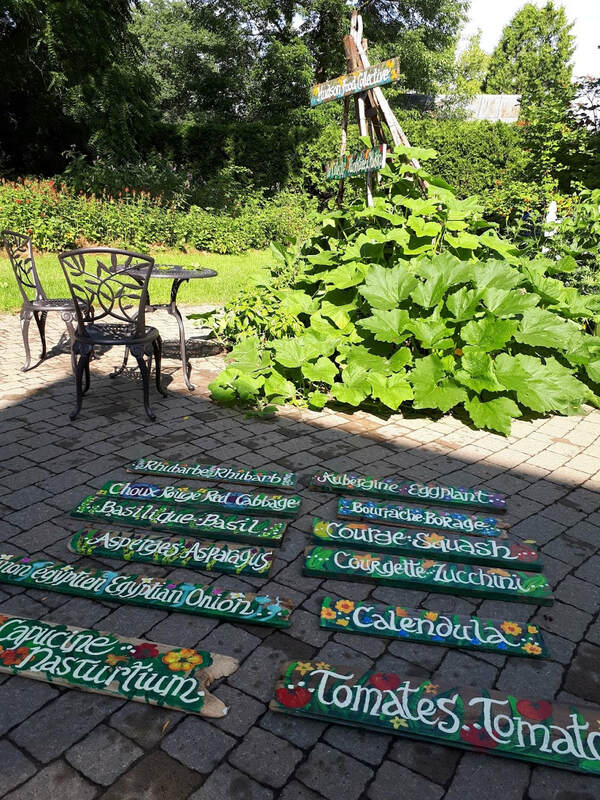 Viens nous rejoindre pour notre prochaine journée communautaire au jardin potager. The first Kitchen Garden Community was a successful morning spent tilling the grounds and distributing fresh soil on all the garden beds. 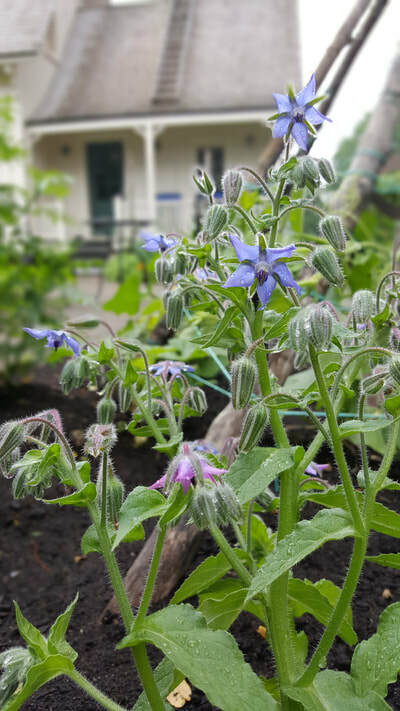 We finished the afternoon planting our garden with Kale, Red Cabbage, Cherry Tomatoes, Squash, Zucchini, Eggplant and edible flowers such as Calendula and Borage. 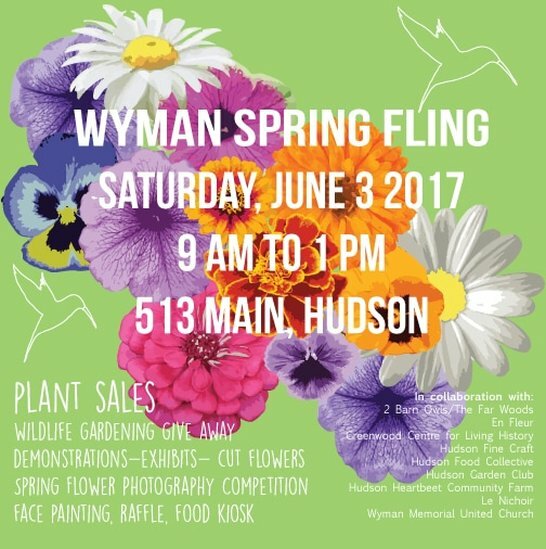 June 3rd- HFC participated in Spring Fling for the third time. The gardening design that works for young and young-at-heart gardeners alike, and in gardens both tiny and expansive, and everything in-between. The gardening philosophy that strives to be holistic, ethical, and self-sufficient. 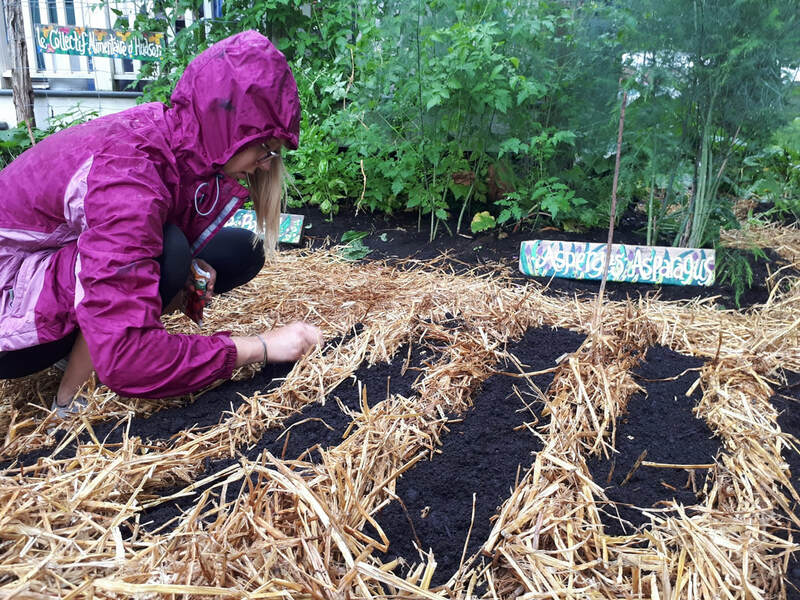 In this meeting, permaculture Graham Calder will introduce permaculture basics that will help you read the landscape, analyze problems, and design ecological solutions for your home, garden, farm and city. 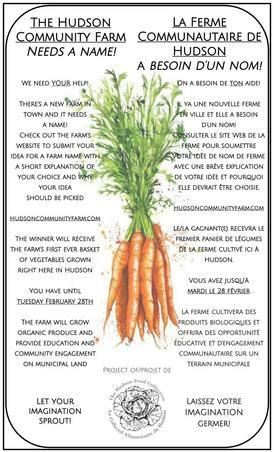 This event is jointly sponsored by the Hudson Food Collective and the History Garden. It is the first series of permaculture events in Hudson in 2017. Located at Wyman Memorial UC, here in Hudson. Wyman invites you to attend the Breakfast Group discussion beginning at 9:00-10:30. In February, we asked you, the community, to submit your name ideas. Thank you for all of your contributions! The name chosen (along with the winner) will be announced at a Community Launch Event on March 17th.